Proper installation method of PVC drainage pipe - Taizhou Zhuoxin Plastics Co., Ltd.
How to put and install tee into PVC pipe? 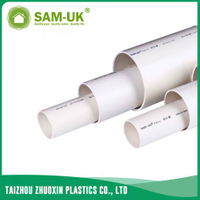 PVC drainage pipe is a lot of people familiar with, in many places will choose, with the use of more and more widely, many people want to know how to install? What is the correct installation method for PVC drains? Here to give you a simple explanation. PVC drain pipe, we not only to buy good quality, but also a good installation process and measures, so as to reflect the work of PVC drainage pipe effect. 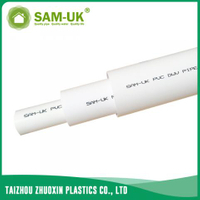 Some people say that many times to buy a lot of drainage pipes are life is very short, all attributed to the PVC pipe manufacturers to produce product quality problems above, it is not true, some of the installation process is not correct, resulting in drainage pipe life Shortening, the specific installation of how to not hurt the pipeline, the following SAM-UK to organize some of the. (1) sewage using PVC-U solid wall drain, adhesive and flange interface. (2) according to the requirements of the drawings, combined with the actual situation, according to the location of the location of the measured size, drawing processing sketches. (3) according to the sketch volume of the pipe size, off the tube. Fracture to be flush, with a rasp or scraper to remove the fracture inside and outside the sprint, the outer edge of the file out of 15 ℃ angle. (4) before bonding, should be inserted into the first socket test, not all inserted, generally for the mouth of the 3/4 depth, after the test pass, with cotton cloth will be the need for bonding parts of the moisture, dust wipe clean. If oil, need acetone removed. Apply the adhesive with a brush, apply the socket before applying the socket, and then insert it vertically. When inserting the adhesive, make the socket a little rotation to make the adhesive evenly and stick for about 30-60min. (5) plastic drainage pipe installation, the use of temporary hanging wire, pre-installation, adjust the mouth coordinates, location, pipe elevation, slope in line with the design requirements of bonding, and timely correction of the mouth position coordinates, elevation slope. To be bonded after curing, the installation of fixed support but not too tight. When using a metal bracket, it is necessary to have a rubber gasket at the contact with the outside diameter of the tube. (6)Drainage pipe at the lowest level and the highest level should be set to check the mouth, check the center of the mouth from the ground to 1.0 meters. (7) After the installation of the pipeline should be timely blocking the hole, according to the specifications required to block the plug, the installation of the pipeline is strictly prohibited climbing. In accordance with the above installation method, both to achieve the purpose of normal drainage pipes, but also to ensure the normal life of PVC drainage pipes. But we also have to remind that we are in the pipeline during use, but also to do the protection work, prohibit trampling or smashing and other powerful activities.